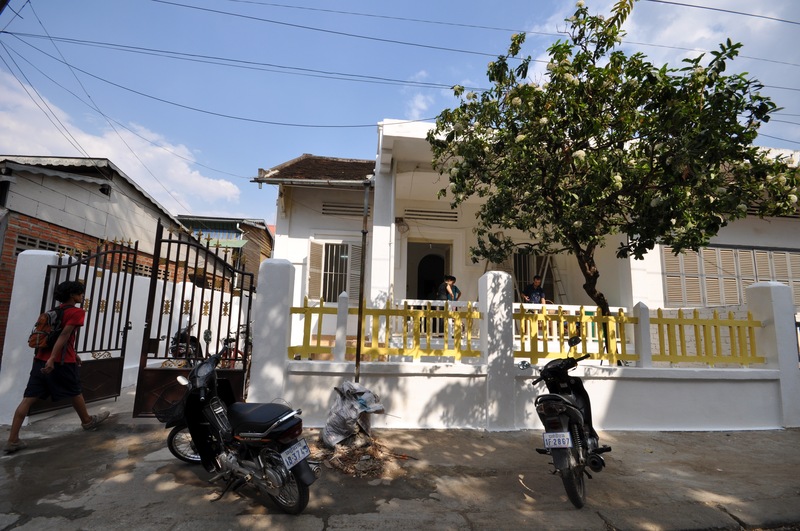 Kinyei is excited to announce its involvement in the launching of a new collaborative art space in Battambang. Sammaki Art Space will be a temporary, pop-up gallery and studio providing a place for local artists to create and show their work. Many artists in Cambodia are Battambang natives, but the majority have to relocate to Siem Reap or Phnom Penh in order to exhibit and market their work. Our hope is that the opening of this art gallery and working studio will give local artists invaluable exposure and a central space to work on collaborative art projects as a community. 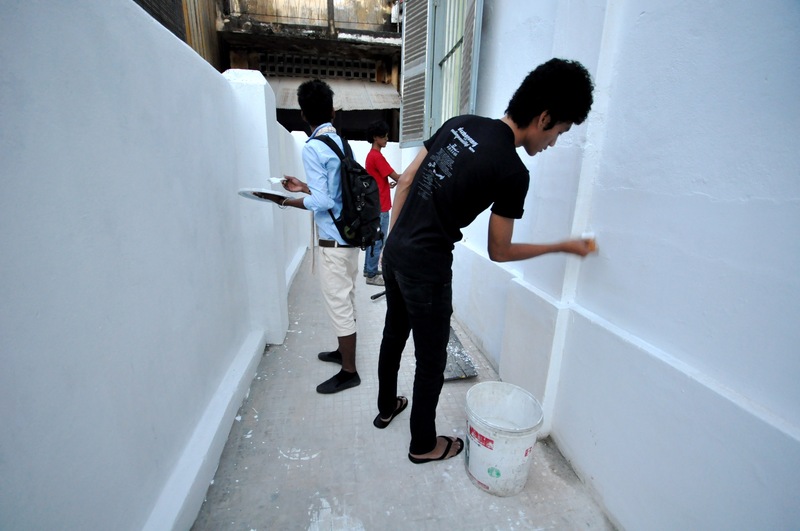 Residents and visitors alike will be able to appreciate contemporary art works from the region. 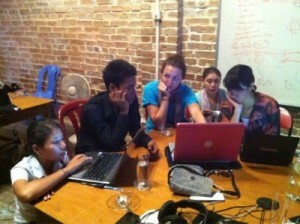 We cannot think of a better way for visitors to gain unique and creative insights into Khmer culture! Kinyei is working together with Jam from Art Deli in Siem Reap, Darren Swallow, facilitator of the local artist group “9 Faces”, and local artist extraordinaire Mao Soviet in order to get Sammaki off the ground and running. Sammaki will also house two resident artists, and will be open as a collective studio space and gallery for local artists. Sammaki is located in a 60’s era house on St. 2 ½, just two streets over and two streets down from our 1 ½ office and Cafe. So far we’ve been busy helping to facilitate the surface renovations of the house, making it habitable for the resident artists and workable as a studio and workshop. We’ll be formally launching the space in May, so stay tuned for more news about the fast approaching party! Sammaki means solidarity in Khmer. March has been a busy month for Kinyei’s Open Workshop space. Our most recent workshop was led by Amit Janco, who ran a creative arts class, exploring self-expression through a range of mediums. The participants, both Khmer and foreign, hailed from a variety of occupations, some NGO workers, some English teachers, others small business owners who worked in pairs to enhance communication methods using paints, and other tools. Participants had lots to say about the experience. One particpant was “refreshed [about] the meditative aspect of artwork, and enjoyed the people and Amit’s easy charm”. 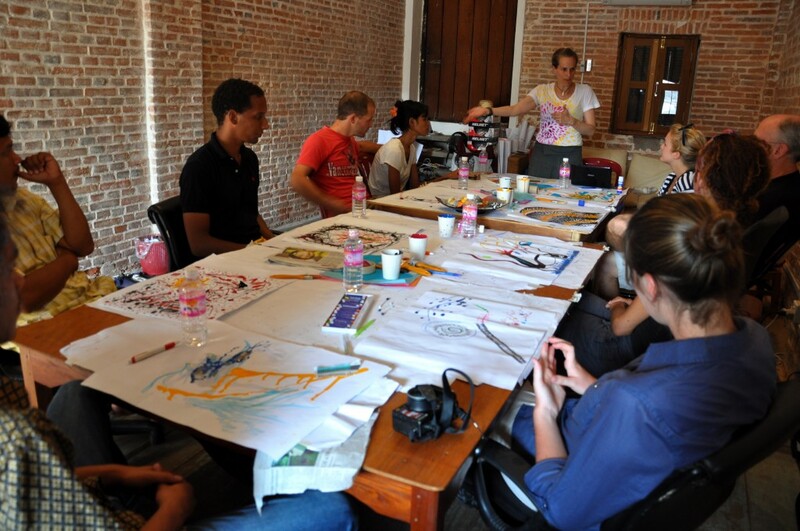 The participants created artwork collaboratively, working in pairs. They then went on a meditative walk to explore how their heightened sensitivity to their surroundings transformed their creative process. It was great to hear one participant say “ideas come from doing, not thinking though that is needed to carry them out”.